In this example we are going to see how to execute batch pipelines. In this pipeline, we will read Employee information by joining multiple tables from a JDBC datasource and with salary above 5K. We will apply two different business logic on active and inactive employees. Data of the active employees will be enriched with “country name” based on their “location id” by looking up from an existing database and finally pushed into a datastore. All the inactive employees are stored separately in a different datastore. Download pipeline from the Git repository. Go to the Data Pipeline page and select Spark tab. Review and click on Upload button. 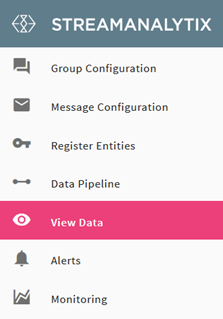 Pipeline gets uploaded successfully listed on the Data Pipeline page under the Spark Tab with name SparkJDBCDemo. Persist: It stores data in memory. Since we are forking two parallel flows, they require persisted data. Filter: Responsible for filtering the incoming data based on the conditions defined. We are using two filter in the pipeline. The filter will emit records which has a 'false' value in 'is_active' field and the one beneath it, emits records with 'true' value in the field 'is_active'. 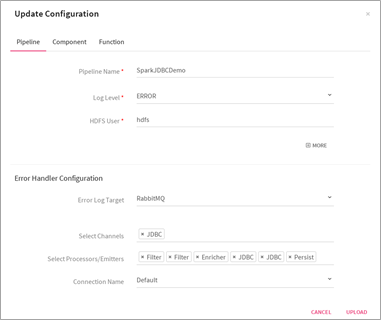 •	JDBC Emitter: This is the last component of pipeline, which is responsible for pushing data into any RDBMS table mentioned in the component configurations. All the mapped message fields are inserted into the columns of the defined table. In this case we have dumped our data into an RDBMS datastore. In order to view it, click the “View Data” link from the left hand side panel. 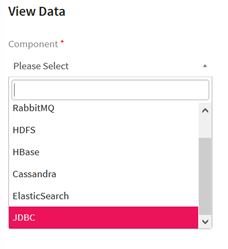 Select JDBC as the component. •	Connection: Name of the JDBC connection from where data needs to be fetched. •	Table: Name of source table where data resides. •	Inspect: Please follow this URL for more details.